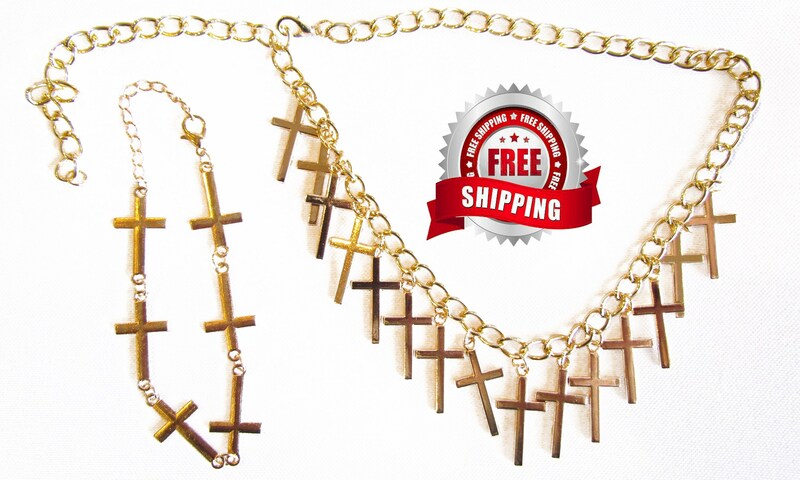 Fashion Multi Cross Necklace and matching Sideways Bracelet are over the top elegant. 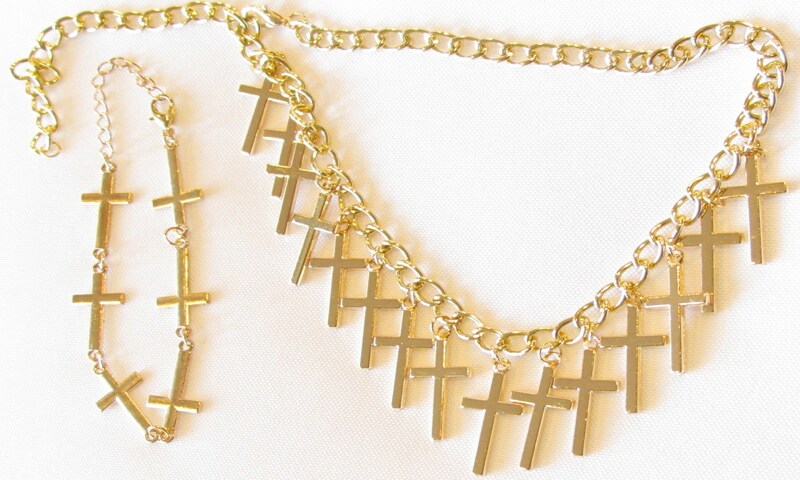 Two components, the Necklace consists of 14 crosses and the Sideways bracelet contains 6 crosses. Both pieces have a positive locking lobster claw clasp. 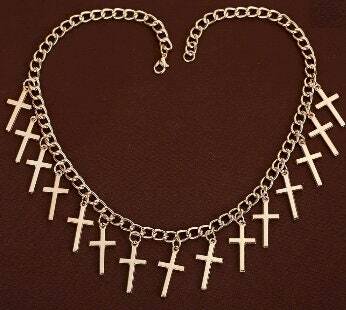 20" Necklace. 8" Bracelet. Gold plating over copper.